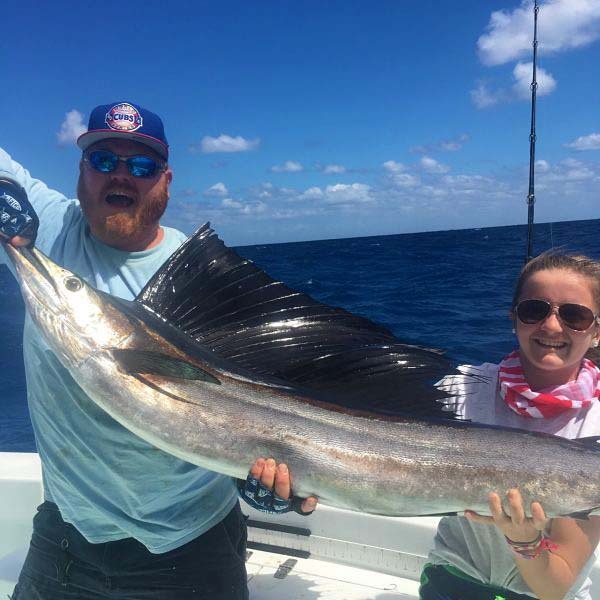 December Fishing Miami Warsaw GrouperOn the edge of the Gulf Stream we have been catching a few nice Mahi Mahi AKA the Dolphin Fish. 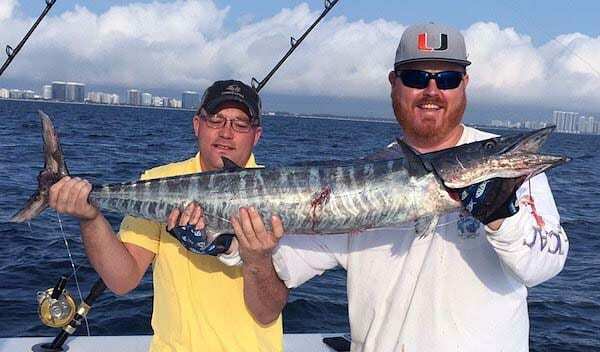 We have also been finding some nice Wahoo on the edge around the full moon. A little farther off shore we have also been finding Blackfin Tuna and schools of Mahi. If you are lucky enough to find a large piece of flotsam we have been catching some smaller school Wahoo. The deep wrecks are also alive with bait and predators. Schools of medium sized Amberjack are quick to live baits and jigs. Although there are some really large Amberjacks mixed in. December is also our last month to target Groupers. Fishing live baits right on the bottom has produced a few nice Black Groupers and Red Groupers. 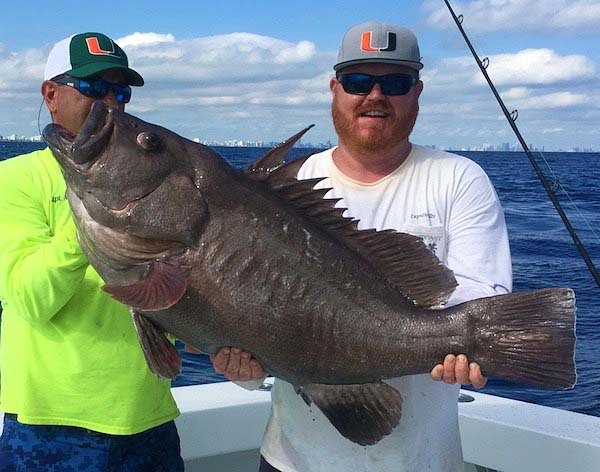 Our largest grouper of the season is a Warsaw Grouper that weighed in at about 60 pounds. We are also catching some larger Red Snappers, Yellow Eye Snapper, Vermillion Snapper and Tilefish.